Creative Window Coverings, Inc., a window treatment store located in Oceanside, NY, may be the specialty store you may have been searching for. With many jobs coming from referrals, Mike Leary, proudly admits that the special attention given to customers is what sets Creative Window Coverings, Inc. apart from other Hunter Douglas stores in the New York area. Satisfied customers have even penned letters expressing their thanks for a well done job. Customers have commented on Mike's reliability, pride in his work, and friendly, personalized service. Grateful to give back to the community, Mike has generously contributed window blinds to the board of directors at the Long Island Breast Cancer Action Coalition's office as well as the Tabor Retreat Center in Oceanside. We are the window blinds store that comes straight to your door! Our window treatments can be shipped directly to you. Or if you are not sure what the actual product looks like and would like to try to operate the window blinds or window curtains, you are welcome to visit our Hunter Douglas store of NY. Our window treatment store serves customers of Baldwin NY, Cedarhurst NY, East Rockaway, NY and all the surrounding areas with the highest quality in window blinds and soft window treatment products. 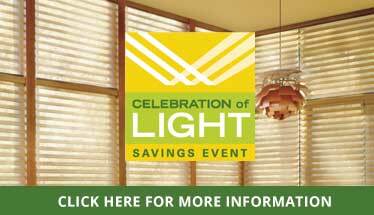 Creative Window Coverings has established itself as the leading retailer of window treatment products. Join our email list to receive special offers and expert advice on how to choose your next product!